GORGEOUS UPDATE! Reduced to sell! 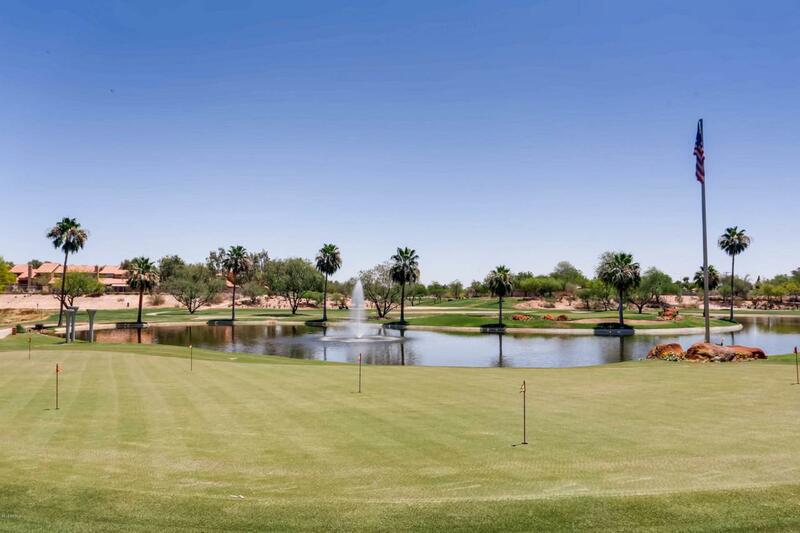 Fantastic two bedroom + study located next to the Silverado Golf Course & the Scottsdale walking/ bike paths. This great room plan features beautiful granite counters throughout & stainless appliances, including a gas range. Great Room has a two way gas fireplace & opens to the study, & both rooms lead out to the large corner patio. Master Bedroom w/ luxurious Master Bath showcases an updated tub & a separate glass enclosed tile shower. Enjoy entertaining in this spacious corner condo, located on the first floor. Elevator, underground parking with 2 spaces, storage locker, Clubhouse with resort style pool/spa & fitness center. Close to Spring Training Baseball,shopping,dining,golf,railroad park & coming soon Ritz Carlton. MOVE IN NOW AND ENJOY!